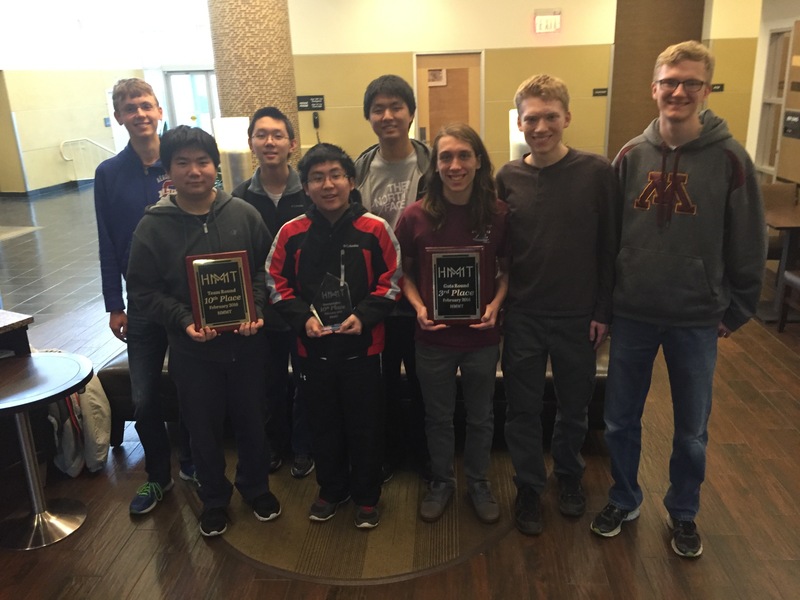 Sixteen of the top students from the Minnesota All-State Math Team, sponsored by the Minnesota State High School Mathematics League, traveled to Boston, Massachusetts last weekend to compete in the annual Mathematics Tournament, hosted by Harvard and MIT. Teams from around the world and the country participate in this tournament. This year, the field included 92 teams. Minnesota has performed admirably during the past four years, but has always missed earning a place among the top ten teams. They would not be denied this year. Minnesota brought home their first set of awards and trophies! The Minnesota Gold 1 team won three awards: 10th place in the Team Round, 3rd place in the Guts Round, and 10th place in Sweepstakes, which is the overall sum of the individual results and all of the team test results. Members of the Minnesota Gold 1 Team include: Frank Han, Jakob Hofstad, Daniel Jing, Trevor Moore, Jacob Nelson, Daniel Qu, Michael Tang, and Nick White. 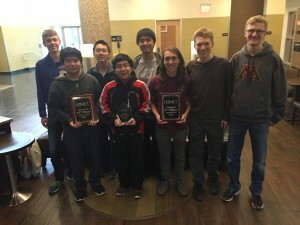 While the Minnesota Gold 2 team didn’t finish within the top ten teams in any event, the students and their coach are confident that they finished somewhere in the middle half. The experience gained at this event was invaluable. Several of the students from the Gold 2 team will likely return next year and participate in other college sponsored tournaments. 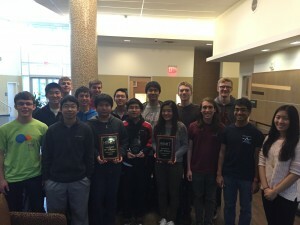 Members of the Minnesota Gold 2 Team include: Kenrick Bjelland, Seri Choi, Nikhil Marda, Alex Pan, Daniel Stein, Henry Wang, Nathan Weckwerth, and Jenny Zhang. The All State Math Team is coached by Southwest High School math teacher and math team coach David McMayer. Sections for this year’s team will occur in the spring and are based on student performance in the League, AMC tests, the AIME or Mathcounts. Coaches may recommend students for consideration.